Clever alternative. 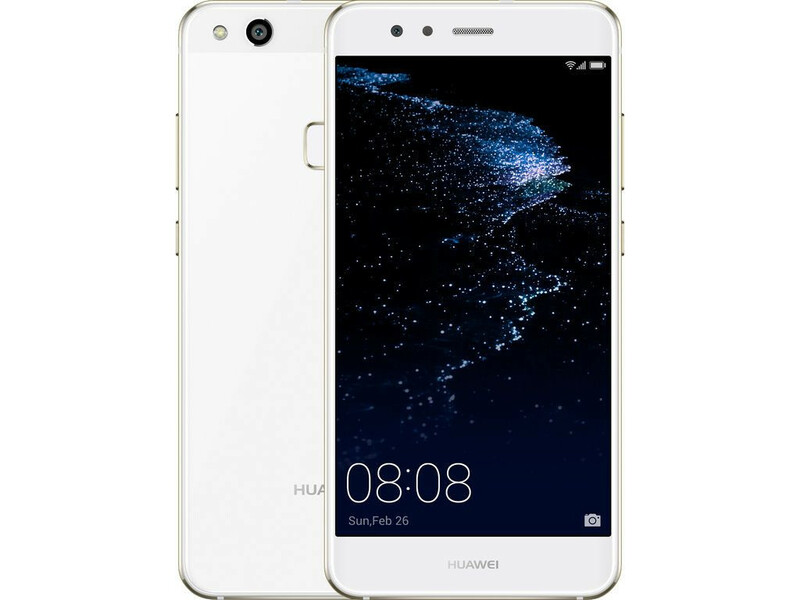 The Huawei P10 Lite mid-range smartphone costs only about half as much as the Huawei P10 with a Leica camera, but has otherwise much in common with the high-end meteorite. Our test shows what ultimately is the difference and who should choose which of the P10 models. Huawei’s P lineup has a yet another mid-range representative in the face of P10 Lite. This time, however, in addition to the capabilities, the company has paid attention to the elegant appearance achieved with the help of the glass back and pleasantly curved edges. This, of course, hasn’t prevented the fingerprint sensor from being available again. The display is 5.2″ with Full HD resolution, which is not a change compared to P9 Lite, but in the menu we find a special Eye comfort mode limiting blue light. Additionally, the battery offers reasonable durability, although in some of our tests the results were lower than those of P9 Lite. On the other hand, its charging is fast and for 10 minutes in the plug, you can get around 2 hours of video playback. Neither of those changes make it a bad phone. If you’re after something with style, that comes in at half the price of a flagship phone, it’s still a great choice - just be aware that a little extra cash buys you a lot more phone, and the cheaper competition is basically on par when it comes to screen and CPU. The Huawei P10 Lite handset is powered by a non-removable Li-Polymer battery. This has a capacity of 3000 mAh. Running my usual continuous movie playing test, I was able to get 7 hours 5 minutes of viewing time before the handset closed itself down. I was rather disappointed with the battery performance especially when compared with the handset’s other facilities. Overall, I think the P10 lite is another great smartphone for phoneography, especially with the given Portrait and Selfie Superstar mode. With the Sapphire Blue design, the demographic for this device is probably for the young and trendy millennials who really likes taking photos, especially Huawei's blurred background portrait selfie shots. The Huawei P10 Lite may be quite a few features short of the flagship P10, but that's actually fine. We expected lower specs and we got them but the internals are not bottom-of-the-barrel either. Future talk aside, let's get back to the real question – Should you buy the P10 Lite? If you like and can handle EMUI and you do prefer Huawei's design over its rivals, by all means yes. This is one complete phone that offers great value for your money, so we can't help but give it the thumbs up. Huawei P10 lite is perfect device with light weight. It has 32GB ROM and 4GB RAM moreover it has 3000 mAh battery. All the features are excellent and it is totally providing us full entertainment in affordable price range. P10 lite can give the tough time to its competitors like Samsung, QMobile and many others. We have tested the P10 lite and it has given us best results in every field. The Huawei P10 lite certainly ticks a lot of the right boxes for a mid-range device. It’s thin, has a good sized battery, and offers reasonable performance, all on a budget. Also the ability to enable an app drawer should help EMUI find greater acceptance. The software offers some good extra features and having 4 GB of RAM is nice. While it doesn’t have a dual camera setup, the included camera is certainly usable especially in good lighting. 85% Das hättet Ihr nie gedacht! Positive: Nice performance; solid workmanship. Negative: Slippery. Positive: Nice design; great built quality; good display. Positive: Slim size and light weight; decent cameras; nice performance. Positive: Elegant design; good cameras. Negative: Average performance. Positive: Elegant design; metal case; nice performance. Negative: No USB-C.
Recenzja Huawei P10 Lite. Czy Chińczycy stworzyli nowego króla „średniaków”? Positive: Nice performance; high autonomy; decent cameras; fast fingerprint sensor. Negative: Poor display; relatively high price. Positive: Great built quality; nice display; beautiful design. Positive: Solid workmanship; good screen; decent speakers; support LTE. Negative: Poor main camera; sim and microSD are on the same slot. Positive: Excellent display; nice performance; good cameras. Positive: Good dual cameras; long battery life; decent hardware. Positive: Stylish design; metal case; nice display; fast fingerprint sensor; good cooling system; decent cameras. Negative: Low performance. Positive: Decent hardware; nice design; good display; long battery life. Negative: Unsupport USB-C; relatively high price. Positive: Good price; nice performance; beautiful design; decent cameras; good performance; long battery life. Positive: Good price; nice display; high performance; good cameras; high autonomy. Model: The new Huawei P10 Lite is in many ways as attractive and impressive as the P10 flagship. The Lite series have always been known to be more budget friendly; yet in the face of its lower costs, it is well-built with noteworthy features. At first sight, the build of the P10 Lite does not depart significantly from its P10 sibling. It retains a thin and slim profile at 7.2 mm thick. Both the front and rear panels are coated with 2.5D double-sided curved glass. It is further enhanced with 7H hardness rating to prevent scratches and damages. This affords the P10 Lite with more durability. Another cosmetic feature on this phone is the shiny film on its rear glass which gives a rippling wave effect which changes with lighting conditions. This smartphone is encased in an aluminum and magnesium body which undergoes a CNC process to make it more rugged. It is pleasant to grip thanks to the ceramic blasting which gives the P10 Lite a textured finish. The P10 Lite is fitted with a 5.2-inch FHD display. This vibrant display is not only clearer and crisper; it is also 20 percent thinner. With this dazzling display, eye strain is greatly reduced and thus, making viewing experience more pleasurable. The P10 Lite is powered by a Kirin 658 processor with 32 GB of memory. Apps load and run smoothly without any sluggishness. In fact, the performance between the Lite and the regular P10 won't defer too much in terms of day to day tasks. It might only be noticeable when playing games and running other heavy apps. The storage capacity is expandable to up to 256 GB via a microSD card. For optics, this smartphone is fitted with a powerful 12 MP rear camera and an 8 MP front facing camera. It may pale in comparison from its P10 sibling, which is integrated with dual Leica cameras; nevertheless, the larger 1.25 μm pixel sensor on the primary lens and the facial recognition technology on the front camera make this configuration an equally powerful lens combo for the pleasure of shutterbugs. Furthermore, Huawei’s proprietary Knuckle Sense Technology allows for drawing on the screen to capture screenshots and screen recording. It may be argued that USB 2.0 is outdated with the increased adoption of USB type-C ports; yet, this drawback is overcome by the 3000 mAh battery, which charges faster and lasts longer. Huawei claims that a 10-minute charge powers 2 hours of video watching. The 5-level safety design and fast charge technology is certified by 11 global organizations, thus, affording users with more security. In all, the P10 Lite makes an appealing alternative to its pricier sibling. Kirin 658: ARM based mid-range SoC with 8 Cortex-A53 cores (4 power saving cores at up to 1.7 GHz, four performance cores at up to 2.35 GHz. Also integrates a dual SIM LTE Cat.6 300 Mbit/s modem and is manufactured in 16 nm FinFET+.» Further information can be found in our Comparison of Mobile Processsors. 79.08%: This rating is not convincing. The laptop is evaluated below average, this is not really a recommendation for purchase.